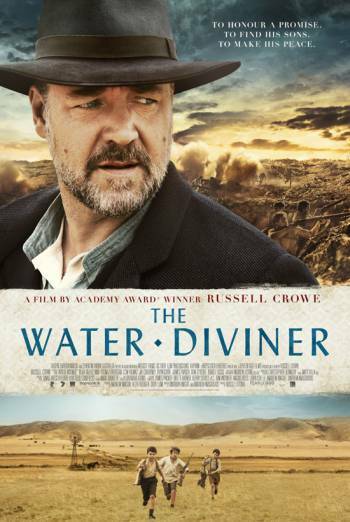 Summary THE WATER DIVINER is a war drama about a father who travels to Turkey in order to find his three sons who he believes to have been killed at Gallipoli. THE WATER DIVINER is a war drama about a father who travels to Turkey in order to find his three sons who he believes to have been killed at Gallipoli. There are images of bloody injury detail, including sight of a man's wounded face and another's gun shot wound to the chest, when soldiers are shown lying on the battle fields of Gallipoli. There are scenes of moderate violence, including war violence and a scene of domestic abuse.